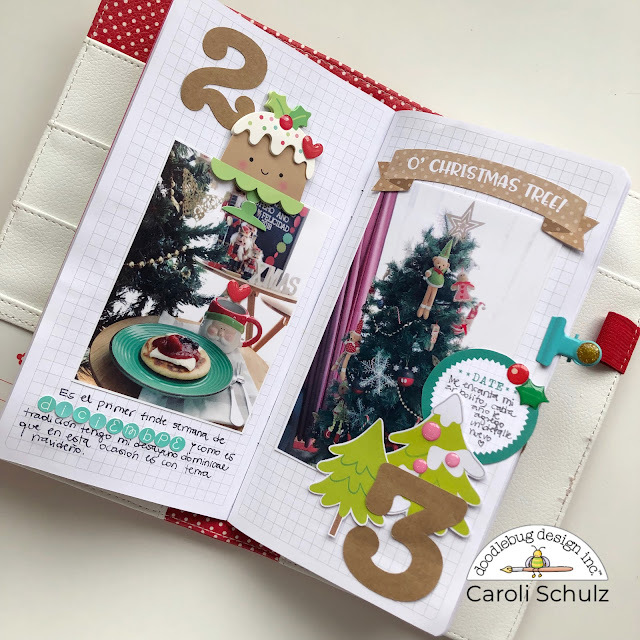 I've always wanted to make a December Daily on real time, but never had the time to do it. 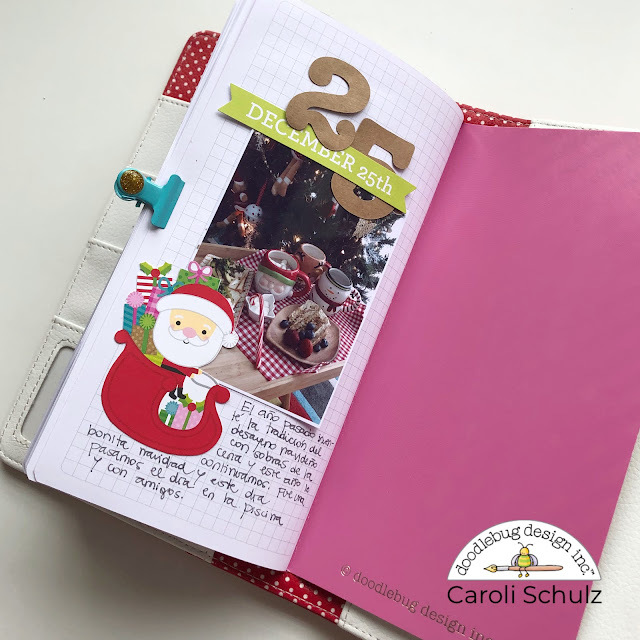 I started a few times in the past but usually at day five or six I realized that I was not able to work on it anymore, due to lack of time or inspiration. 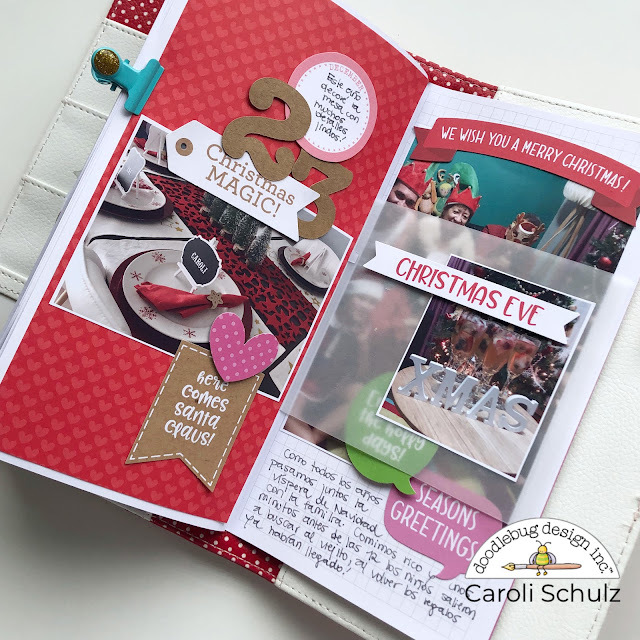 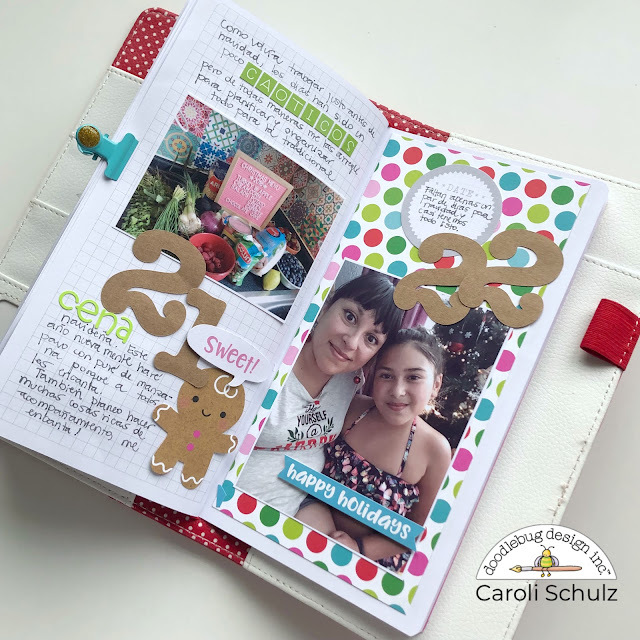 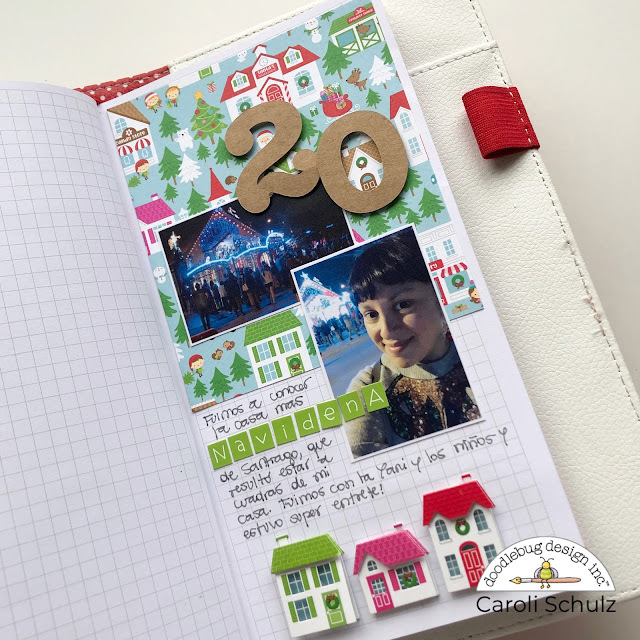 This year, I was determined to change this situation and the motivation came in the shape of the fabulous red Daily Doodles Travelers Notebook, which I used in combination with the Christmas Village collection. Did you made a December Daily? 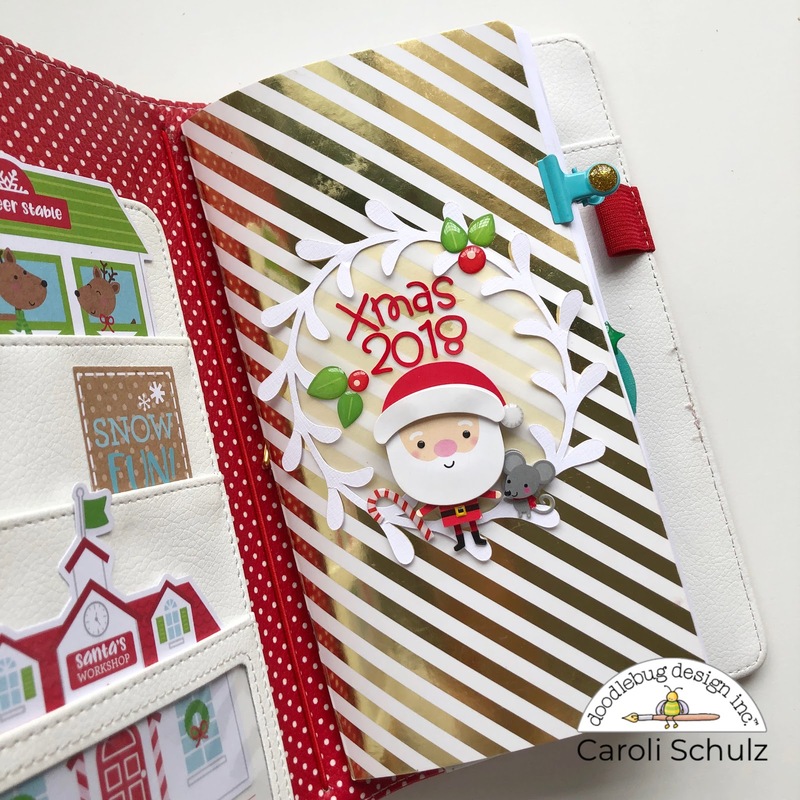 Did you use Doodlebug Design products on it? 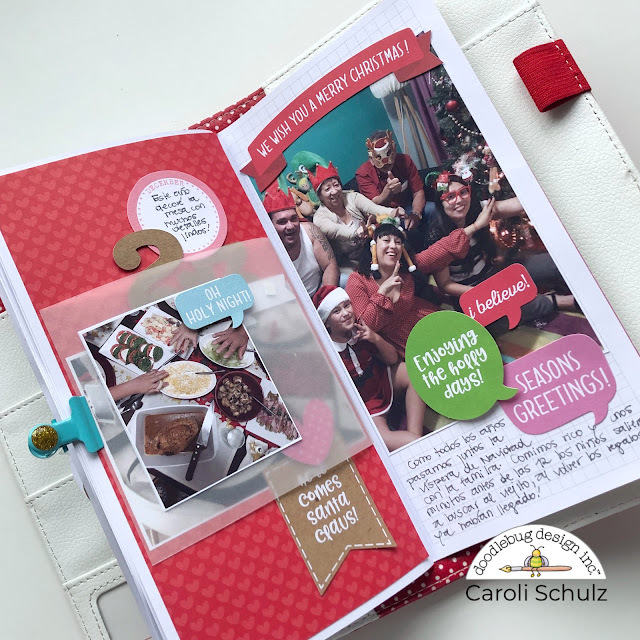 Carol, how cute this is!! 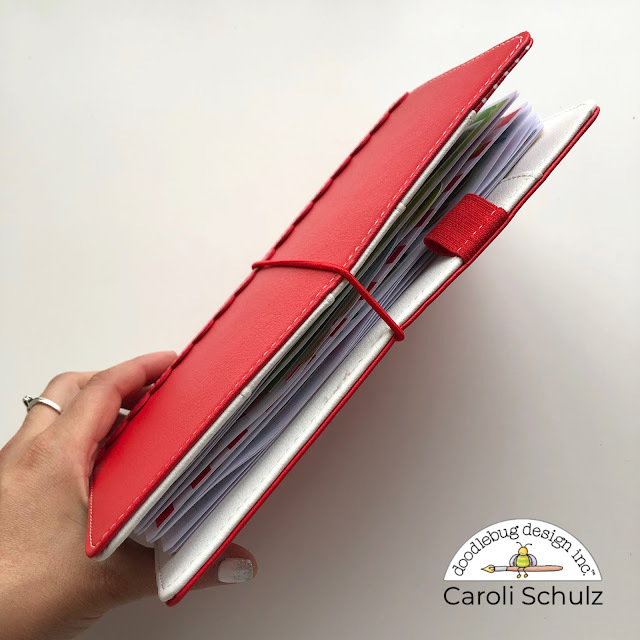 Full of great ideas for those of us who are new to planners!! 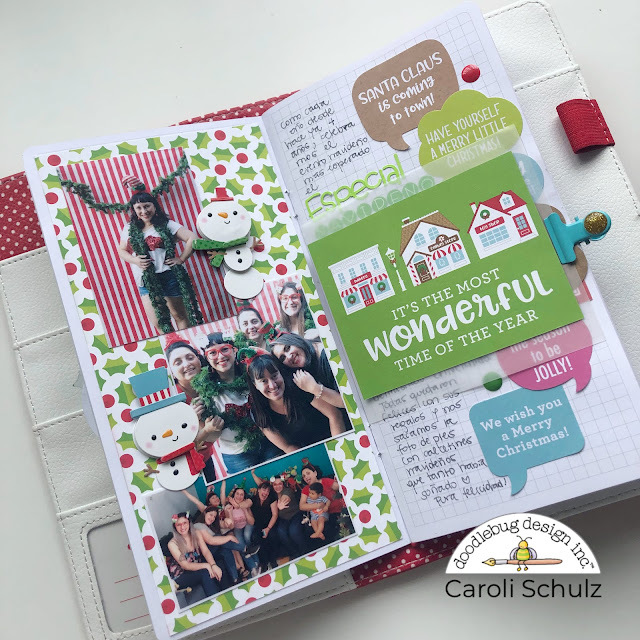 Thank you for the inspiration!! 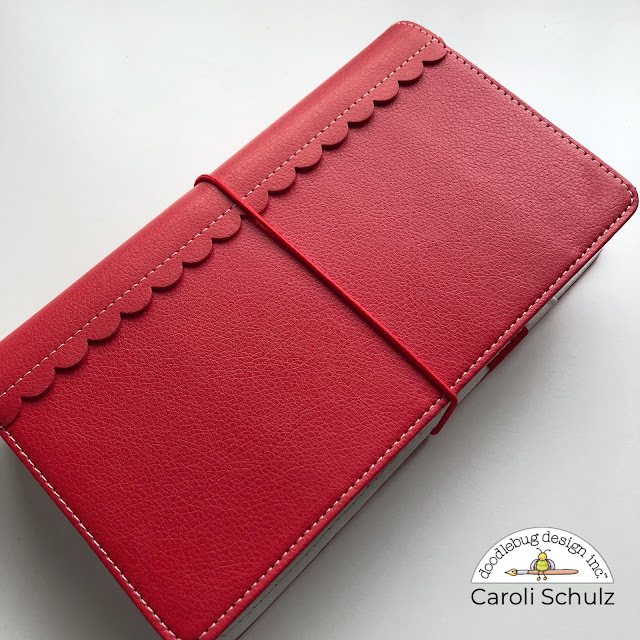 Can I have a Ladybug Doodle Daily Travel album to use!???? 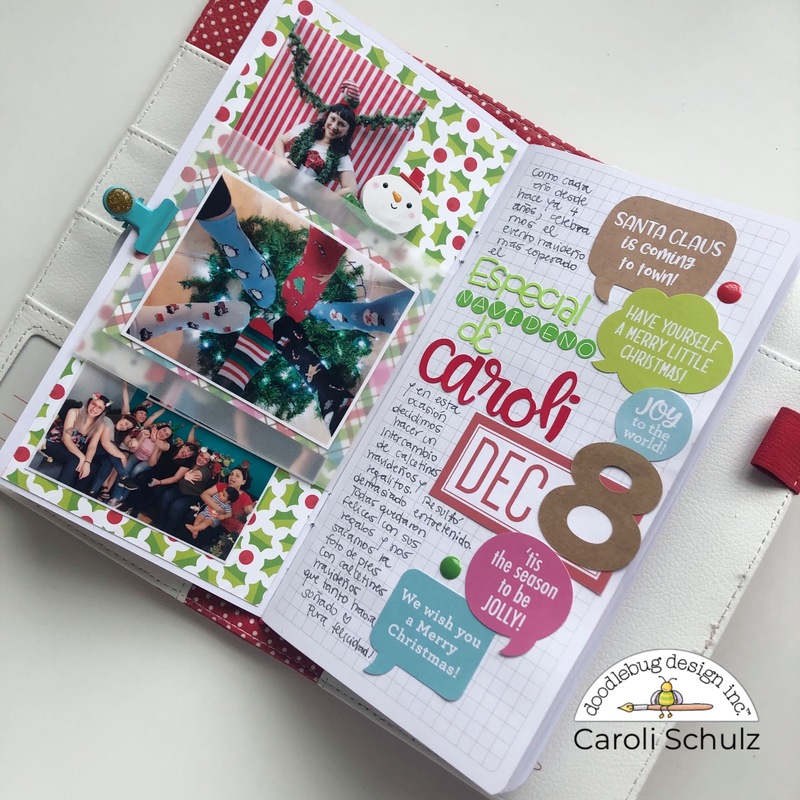 Cus Caroli's mini album is so adorable!! !